During my recent trip to Santa Barbara, I spent a day photographing the area around the Carrizo Plain. There are a huge number of oilfields located to the east near Taft, CA., which I drove through to get to the high hills of the Tremblor Range. 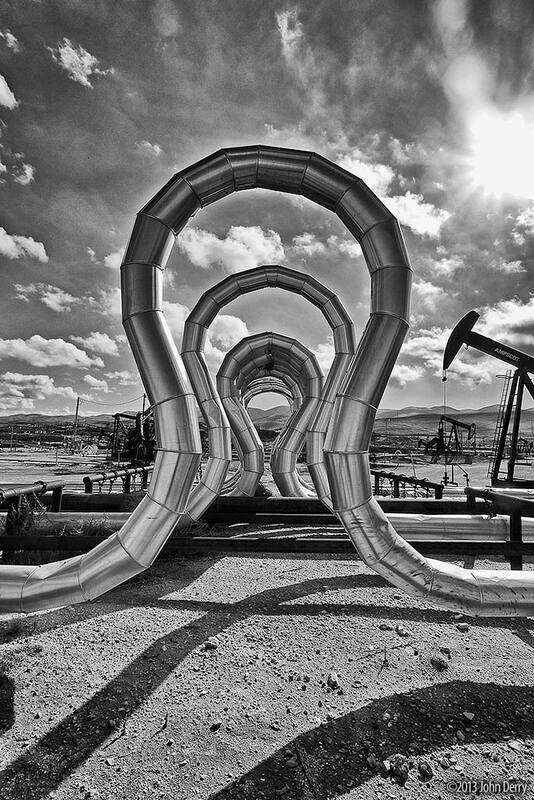 These unusually-shaped expansion loops are peppered throughout the hundreds of drilling sites. An interesting example of accidental art!